Woody Allen suing Amazon for breaking their contract over "a 25-year-old, baseless allegation"
It was in August we reported on rumors that Amazon Studios wasn’t planning to release Woody Allen’s A Rainy Day In New York, the latest movie in a four-picture deal the streamer inked with the filmmaker. 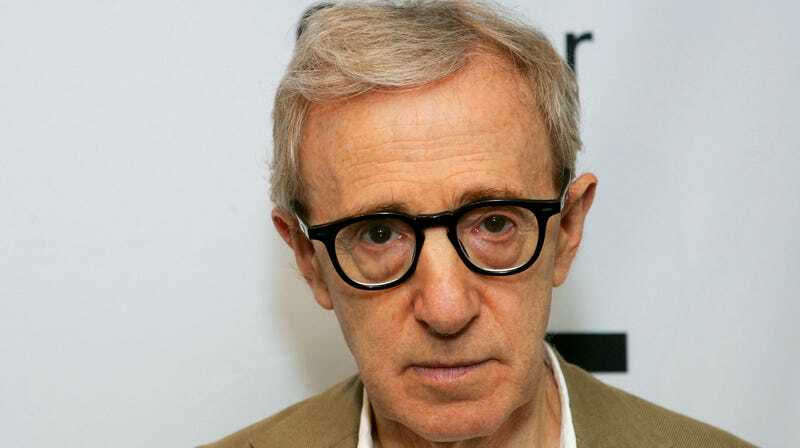 Based on a lawsuit filed by Allen on Thursday, that deal was nixed last June in the wake of resurfaced allegations of child sexual abuse made against Allen by Dylan Farrow, daughter of Allen’s ex Mia Farrow. Now, Allen is suing the studio for $68 million, alleging that their agreement was terminated based on “a 25-year-old, baseless allegation” that the streamer already knew about when they made the deal with the filmmaker. As Variety reports, Allen met with Amazon executives in December of 2017, when they proposed delaying the release of A Rainy Day In New York to 2019 due to “the reputational harm” Amazon was dealt due to its dealings with Harvey Weinstein and the allegations brought against former Amazon Studios head Roy Price. Allen agreed, but was shocked by the deal’s termination the following June. When pressed, Amazon representatives said the agreement’s dissolution was due to “supervening events, including renewed allegations against Mr. Allen, his own controversial comments, and the increasing refusal of top talent to work with or be associated with him in any way, all of which have frustrated the purpose of the Agreement.” Considering the timing, they were probably reacting to that time Allen said he should be the “poster boy” for #MeToo. Pretty much everyone involved with A Rainy Day In New York has distanced themselves from Allen. Stars Rebecca Hall, Timothée Chalamet, Selena Gomez, and Griffin Newman have all pledged their salaries to anti-harassment movements like Time’s Up. Javier Bardem, buddy, Woody Allen is not being "lynched"